The American College of Health Care Administrators (ACHCA) is proud to announce Harmony Healthcare International (HHI) of Topsfield, MA as the 2016 recipient of the Business Partner Award. The award was presented during the awards ceremony at ACHCA’s 50th Annual Convocation and Exposition in Philadelphia, PA on Tuesday, April 19, 2016. The Business Partner Award recognizes a vendor who has promoted leadership excellence by contributing time and resources to ACHCA. The vendor has encouraged others to participate in conferences and partnerships; and has volunteered resources to ACHCA beyond expectations. Harmony Healthcare has unfailingly sponsored educational programs and supplied expert professional speakers to educate members on trends, legal issues, reimbursement, and regulatory compliance. They support staff involvement in ACHCA activities, participate in vendor exhibitions, sponsor special events, provide articles for chapter newsletters and blogs, and attend national conferences. Their partnership and individual consultations have exceeded all expectations, and their ongoing commitment to ACHCA has been invaluable to our members. We are fortunate to have their support and honored to present them the esteemed Business Partner Award. The social media revolution has swept across America. This communications change cuts across most age and demographic groups and has transformed the way Americans live, work and play. One demographic that lags behind in adaptation and may benefit the most from social media use is America’s seniors. Harmony Healthcare International,(HHI), a leader in healthcare consulting services, sets out to change attitudes and to help facilitate social media adaptation in both the post-acute care environment and among the nation’s elder population by launching an educational video, “Engage Don’t Just Age: Keeping Seniors Engage Through the Power of Social Media”. Harmony Healthcare enlisted four senior citizens and their grandchildren and entered into a delightful exploration of what social media means across generations, the uncertainties around technology use, and the common attitudes, both young and old, about adaptability and use. The video also looks at social media and its impact from the caregivers’ perspective and makes an argument for social media as a healthcare tool. With the onslaught of regulation, documentation and risk, noted speaker, thought-leader and post-acute care expert, Kris Mastrangelo launched the first in a 15- city series of two-day seminars addressing compliance challenges and the strategies providers will need to prepare for the future of post-acute care. The tour kicked-off in Dallas at the Aegis Therapies Leadership Meeting and will travel around the United States ending in Nashville in September 2016. Harmony Healthcare International (HHI) is a leading consulting firm specializing in C.A.R.E. (Compliance, Audit and Analysis, Reimbursement and Regulations and Education and Efficiency). Ideally suited for Administrators, Owners, Operators, DONs, MDS Coordinators, Compliance Officers, Therapy Directors and other constituencies in the post-acute care industry, each seminar will be divided into four sessions, two per day and attendees will be given the opportunity to stay for all four sessions or choose any number of sessions that are relevant to their job duties. A total of 12 contact hours will be offered for the complete seminar. Three additional sessions will address, “The Future of Reimbursement and MDS and More for the Clinical Leader”, “ADR and Denied Claims Management” and “Jumpstart Your QAPI and Compliance Programs”. The two-day seminars are specifically designed to meet the needs of post-acute care professionals as they face the regulatory and operational challenges over the next several years. “Last year, as I traveled around the country and spoke at several national association events and met with post-acute care professionals, I realized that there is a tremendous need for good information on what is coming down the regulatory and reimbursement road over the next several years,” said Mastrangelo, OTR/L, LNHA, MBA, President and CEO of Harmony Healthcare International, “This tour collects that pertinent information in one place, allowing professionals to learn, synthesize and use the information effectively and efficiently. As the industry continues to focus on innovation and performance outcomes, Harmony is pleased to have been chosen by Aegis Therapies to kick off ‘The Great Eight’ tour." Attendees will be given the opportunity to have a free PEPPER or Five-Star Analysis during the event. For more information about the seminars, locations, costs and registration visit www.harmony-healthcare.com/education-training/schedule. Citing that post-acute care leaders and organizations are “more unified than ever and more politically active than ever”, Gov. Mark Parkinson kicked off “Harmony 2015”, one of the industry’s premier thought leadership symposiums, hosted by Massachusetts-based Harmony Healthcare International. With more than 250 administrators, directors of nursing, rehabilitation managers and other management and corporate personnel gathered at Foxwoods Resort Casino in Ledyard, Connecticut, Parkinson detailed an optimistic view of the Medicare reforms, payment models and quality initiatives that are revolutionizing the nation’s skilled nursing and assisted living provider organizations. The Honorable Mark Parkinson, the 45th Governor of the State of Kansas and the current President and CEO of the American Health Care Association (AHCA) and the National Center for Assisted Living (NCAL), gave the keynote address at the event, on November 5, that launched two days of general sessions and breakouts on all aspects of the post-acute care industry. Parkinson’s organization represents more than 12,000 for- and not-for-profit nursing homes, assisted living organizations and centers for the care of people with intellectual and developmental disabilities. The symposium featured post-acute care industry and thought leaders who addressed topics relevant to the state of the industry today. In addition, 24 break-out sessions offered a variety of clinical, operational, financial and marketing topics. Up to 12 hours of continuing education credit was offered for Nursing Home Administrators, Nurses, Speech Language Pathologists, Occupational and Physical Therapists. This year’s symposium saw a 20% increase in attendance and a doubling of the number of event sponsor-exhibitors. “Mark Parkinson’s keynote and the theme of this year’s symposium, “Engage: Don’t Just Age”, highlighted AHCA/NCAL’s and our industry’s passion for bettering the lives and lifestyles of our nation’s elder population and our commitment to improving care, quality, operations, compliance and regulations across the continuum,” said Mastrangelo. “Sixty-seven percent of people over 64 who fall and fracture a hip will die within 2½ years of the fall,” said Kris Mastrangelo, OTR/L, LNHA, MBA, president and CEO of Harmony Healthcare International, “A frightening statistic that led us to support encouraging and maintaining mobility in America's nursing homes. We have chosen Mobility from among the nine Advancing Excellence Goals and we have committed our time and energy to promoting that goal to our client base and constituencies." The Mobility goal strengthens residents' muscle and bones which makes fractures less likely in the event of a fall, the MA-based consulting company said. If you asked long-term care providers what their main concern is, you would think it would be "patient care," right? It turns out, that's not reality. Most providers, it appears, are consumed by documentation. That's right: filling out forms. Not managing, not taking care of revenue or reimbursement, not regulations and compliance. Documentation — though I suppose it could be argued that documentation intersects with each of the other topics. Still, it seems like a lousy pre-occupation when your business involves tending to frail, mostly elderly people trusted to your care. Yet the No. 1 challenge listed in a polling of more than 1,200 providers was “documentation.” In fact, 21% who visited the Harmony Healthcare International website in 2014 said it was their biggest challenge. The other categories were: denied claims (12.1%), census (11.9%), business operations (11.6%), education and training (10.8%), revenue/reimbursement (10.7%), management (7.1%), patient care (6.9%) and regulatory/compliance (6.1%). “Line” level workers (23.4%) clear and away were most concerned about documentation, compared with just 13.4% at the C-level (administrators, CEOs, owners). That's not surprising, considering who has to actually fill out endless MDS and nursing evaluation forms. But it's something bosses should take to heart. The “Harmony Healthcare International 2015 Post-Acute Care Trends Report,” which was released last week, says C-suiters are more concerned about census (18.8%) and business operations (17.8%), as they probably should be. They better be focused on the future direction of the entire ship. But they also better realize their workforce is under a lot of pressure over documentation. The study also showed that frontliners place “educations and training” at a much higher worry level than the C-suite does (11.6% to 6.9%). The savvy top manager will remember that, and not only at annual employee appraisal time. The full implications of the report are hard to lock in. Some might point out that visitors to a website for a company specializing in compliance matters would naturally be worried about documentation demands. But Harmony Healthcare lists “compliance, reimbursement, operations and denied claims appeal consulting” as its primary points of emphasis— not documentation, per se. Concerns about documentation, however, were pervasive across most cross-sections of respondents. Every geographic region except the Pacific Northwest (where “education and training” was top vote-getter) named documentation the most urgent challenge. The most dominant showing overall was with first-year employees, where 37% said documentation was their biggest concern. What I find perhaps most remarkable is that “patient care” as a No. 1 concern never rises above 8.4% for any of the responding groups. In fact, for most groups, the percentage was significantly lower. Is this because providers are so confident in their direct care? Or is it because they're being so distracted by non-patient care tasks? Maybe a little of both? She added that she believes provider priorities will shift more toward compliance and education in 2015. Something says, however, that deep documentation worries aren't going to fade away any time soon. That might be a sad commentary on providers — but when it comes down to it, an even worse reflection of those who regulate them. Harmony Healthcare releases grid for Five-Star calculations Harmony Healthcare International released a grid that it invented and combines all the rules for calculating a Five-Star Rating. It is a tool that it invented as a reference for SNFs to use in planning and preparing for changes in the facility's rating. “This reference tool from Harmony Healthcare simplifies the calculation process and shows the facilities their actual points allowing them to strategize and take action if they are close to losing or gaining a point,” said Kris Mastrangelo, OTR/L, LNHA, MBA, president and CEO of Harmony Healthcare International. Harmony Healthcare's calculation of the composite Five-Star Quality Rating uses the following table: http://info.harmony-healthcare.com/hhi-five-star-formula. There are five columns; and the Health Inspection Rating designates which column to use and which number to initiate the calculation. Never mind the mantras about the long-term care profession being “high touch.” The focus has been hijacked and it appears most providers are now consumed by documentation. It seems like a lousy pre-occupation for people tending to frail, mostly elderly people entrusted to their care. Yet the No. 1 challenge listed in a polling of more than 1,200 providers was “documentation.” In fact, 21% who visited the Harmony Healthcare International website in 2014 said it was their biggest challenge. The other categories were: denied claims (12.1%), census (11.9%), business operations (11.6%), education and training (10.8%), revenue/reimbursement (10.7%), management (7.1%), patient care (6.9%) and regulatory/compliance (6.1%). Non-C-level workers (23.4%) were more concerned about documentation than C-level (13.4%).That's not surprising, considering who has to actually fill out endless MDS and nursing evaluation forms. It's something bosses should take to heart. The “Harmony Healthcare International 2015 Post-Acute Care Trends Report” showed C-suiters are more concerned about census (18.8%) and business operations (17.8%), as they should be. Nonetheless, they need to remember how much pressure their workforce is under due to documentation. Concerns about documentation were pervasive across most cross-sections of respondents. Every geographic region except the Pacific Northwest (where “education and training” was top vote-getter) named documentation the most urgent challenge. The most dominant showing overall was with first-year employees, where 37% said documentation was their biggest concern. Most remarkable is that “patient care” as a No. 1 concern never rises above 8.4% for any of the responding groups. Is this because providers are so confident in their direct care? Or is it because they're being so distracted by non-patient care tasks? Perhaps both? A continual day-to-day focus doesn't leave much time for planning for the future. Unfortunately, there is no way documentation will fade too far off providers' worry screen any time soon. A sad vision for providers — but an even worse reflection of regulators. Cultural, demographic, regulatory, and financial changes are impacting the post-acute care marketplace like never before. Providers need to navigate through an ever-changing list of obstacles and barriers simply to deliver care to their clients. Although the road may seem tortuous and the barriers insurmountable, there are tools to help providers understand the operational landscape and how best to deal with the necessary “evils” of providing the best-in-class care for some of our nation’s most vulnerable people. These 10 tools position providers for success as the move toward a pay-for- performance system becomes a reality. The primary purpose of the Minimum Data Set (MDS) is to work as a functional assessment tool for identifying and addressing potential resident care problems and delivering an individualized care plan for the resident. The purpose of the Resident Assessment Instrument is to develop a care plan for each beneficiary and to provide services, in accordance with that plan, that help the resident attain or maintain the highest practicable physical, mental, and psychosocial well-being. The CARE (Continuity Assessment Record and Evaluation Item Set) tool was developed as part of the Post-Acute Care Quality Initiatives and the Medicare Post-Acute Care Payment Reform Demonstration (PAC-PRD) for standardized use in both acute and post-acute settings for admission and discharge. The CARE tool is meant to standardize assessment items based on the scientific literature and experiences with the current mandated assessment items in the Medicare payment system. These assessments include IRF-PAI, MDS, and OASIS instruments, as well as items related to patient severity, payment, and quality-of-care monitoring. Within the CARE tool, two types of items exist: core Items, which are asked of every patient regardless of condition, and supplemental items, which are only asked of patients having a specific condition. This standardization of language helps clinicians communicate acuity, treatment needs, and outcomes with greater accuracy. The language also allows for measurement of outcomes in physical and medical treatments while controlling for factors that may affect those outcomes, specifically cognitive, social, and environmental factors. Surprisingly, at the date of this publication, nearly 50 percent of U.S. skilled nursing facilities (SNFs) have not downloaded the 2015 Program for Evaluating Payment Patterns Electronic Report (PEPPER) launched mid-April of this year. PEPPER helps SNFs understand where they stand in relation to other SNFs in their state, and nationally with regards to vulnerability for investigation for improper Medicare payments. By understanding its “outlier” status, PEPPER enables the SNF to prepare for investigation, to take corrective actions, and to focus on areas of possible weakness. By looking at six specific target areas (Therapy Resource Utilization Groups (RUGs) with High Activities of Daily Living (ADL), Non-therapy RUGs with High ADLs, Change of Therapy Assessment, Ultra-High RUGs, Therapy RUGs, and 90+ Day Episodes of Care), the Centers for Medicare & Medicaid Services (CMS) is able to determine whether or not “outlier” SNFs are overcoding expenses (above the 80th percentile) or undercoding and not delivering quality care (below the 20th percentile). In addition to helping a facility be proactive, take corrective action, and focus on areas of potential vulnerability, understanding the PEPPER helps the facility to improve quality of clinical documentation and educate the clinical staff. Data monitoring should be part of a facility’s quality assurance improvement program. In 2008, CMS enhanced the Nursing Home Compare public reporting website (www.medicare.gov/nursinghomecompare) to include a set a quality ratings for nursing care centers that participate in Medicare or Medicaid. This website displays a nursing center’s “star rating” in its Five-Star Quality Rating System for the public, enabling it to distinguish itself between high- and low-performing nursing centers. In February 2015, as part of the president’s executive action, several changes in the ratings system took place. A staffing component and a quality measure (QM) component were added, impacting ratings by potentially as many as two stars. The staffing domain changed how three- and four-star ratings are determined by preventing a four-star rating if both the “registered nurse and all staffing” received a three-star rating, thus giving the facility an overall three-star rating. The QM domain added new quality measures dealing with the use of antipsychotic medications during short and long stays and reset the cut points to achieve each star rating. Because the QM affects the final Five-Star Quality rating, if the QM domain is one or five stars, facilities need to pay close attention to this domain. Achieving a Five-Star Quality Rating is no easy task. However, by consistently auditing for MDS accuracy and verifying data, a facility can be on its way to a bright future. This innovative bundled payment model was launched in 2013. It encompasses financial and performance accountability for episodes of care and is included in the Affordable Care Act (ACA), which specifies a three-year demonstration project testing four models of bundled payment within Medicare distributed by diagnosis-related group (DRG) algorithms. By 2014, 232 hospitals/providers were participating in the Bundled Payments for Care Improvement (BPCI) Initiative. Currently there are four broadly defined models of care linking payments for multiple services beneficiaries receive during an episode of care. The four models are: Retrospective Acute Care Hospital Stay Care Only, Retrospective Acute Care Hospital Stay Plus Post Acute Care, Retrospective Post Acute Care Only, and Acute Care Hospital Stay Only. In the first model, awardees agree to provide a standard discount to Medicare from the usual Part A hospital in-patient payments. Models 2 and 3, actual expenditures are reconciled against a target price for an episode of care, and in Model 4 a lump sum payment is made to a provider for the entire episode of care. DRGs are included in each episode, and there are 48 episodes that can be chosen by participants. Regardless of the BPCI model chosen, this new initiative includes provider-led redesign and enhancements and re-engineered care pathways using evidence-based medicine that result in standardized operating protocols, improved care transitions, and coordination. Gainsharing among provider partners may also become a reality with BPCI. Also, a number of other payment reforms are being vetted—providers should be alert to the new payment models under consideration. In January, CMS initiated the Improving Medicare Post-Acute Care Transformation (IMPACT) Act to improve the reliability of the data on Nursing Home Compare, to help nursing care centers improve nationwide-focused survey inspections, payroll-based staffing reporting, scoring methodology, timely and complete inspection data, and additional quality measures. The “impact” of the IMPACT Act is geared toward helping patients compare outcomes across different care settings, thereby supporting better choices and results for patients. The act also funds a key improvement to nursing center oversight—the collection of staffing data—looking at how nursing and other staffing levels “impact” quality of care. Another element is the institution of more routine surveys of hospice providers, ensuring that standards are met for the benefit and safety of patients in end-of-life care. Budgeted to save Medicare $2 billion over the next 10 years, value-based purchasing was included in the Protecting Access to Medicare Act of 2014 (HR 4302). Also known as the “doc fix,” this one-year patch of the sustainable growth rate was a value-based purchasing program for SNFs. By targeting hospital readmissions, value-based purchasing establishes an incentive pool for high-performing SNFs based on their reduction of hospital readmissions. The secretary of Health and Human Services (HHS) will specify a SNF all-cause, all-condition readmission policy by Oct. 1, 2015, and by Oct. 1, 2016, an all-condition, risk-adjusted, potentially preventable readmission rate will be established. A SNF readmission measure will include a performance standard for SNFs, levels of achievement and improvement, and a scoring methodology to create a ranking system. Medicare’s payment rates will be based on performance scores starting in October 2018. The highest ranked SNFs will receive the highest incentive payments, and the lowest ranked will receive the lowest incentive payments. The lowest ranked 40 percent of SNFs will be reimbursed less than they otherwise would be reimbursed without the SNF value-based purchasing program. As of this publication, CMS will withhold 2 percent of SNF Medicare payments starting Oct. 1, 2018, and redistribute 50 percent to 70 percent of the withheld payments back to the providers by way of incentive payments. CMS will retain the remaining 30 percent to 50 percent of funds as program savings. HHS will report the performance on readmission measures for each SNF on Nursing Home Compare beginning Oct. 1, 2017. Policies and Procedures: Non-retaliatory policy, trusting atmosphere so staff feels safe to disclose and promote commitment to compliance. Reporting and Investigating: Independent third party review and client attorney privilege. Education and Training: The No. 1 reason for noncompliance is lack of training. It is important to develop a mandatory facility compliance process, perform risk assessments by area, and make sure the program is reinforced regularly. Prevention and Response: Establish an anonymous system to seek guidance and report violations; conduct fact-finding program before full investigation. Auditing and Monitoring: Detect, prevent, and deter through a formalized approach headed by a person with no vested interest in outcomes. Independent third-party external auditing and internal monitoring become important tools for providers. Responsibility/Compliance Officer and Committee Oversight: The compliance officer and committee are responsible for developing, operating, and monitoring the compliance program and report to the highest governing body or chief executive officer. Enforcement, Discipline, and Incentives: Investigate quickly and thoroughly, conduct root-cause analysis, apply consistency with discipline, and hold the compliance officer and management accountable. As compliance becomes center stage, the P-R-E-P-A-R-E approach helps build a program that is part of the fabric of everyday operations. The structure of a rehabilitation department can either be an in-house operation or contracted out. This department can significantly impact the reputation of the facility and the patient outcomes necessary for quality care. As with any other segment of the business, the principles that apply to operating a successful nursing facility—maintain occupancy, give quality care, and manage finances—can be applied to the management of a rehabilitation department as well. Operational Elements: Staffing, space, signage, equipment, supplies, and marketing. Clinical Systems: Restorative feeding, functional maintenance, restorative nursing, contracture prevention, wound care, restraint reduction, and positioning. Standards of Operation: Productivity, efficiency, revenue, payer mix, and expenses. While the above three categories are not all-inclusive, they do provide a road map to success. However, of the above subcategories, staffing always seems to be the most difficult and the most important. In order to provide services accordingly, it is imperative that the facility identifies the number of therapists required to properly service the facility census. Simultaneously, deriving the staffing mix between registered- and assistant-level clinicians poses discussion and contemplation. The determining factors include staff availability, cost, state-specific practice acts, and therapist experience. The collaboration between CMS and Improve Dementia Care, a public-private partnership established in 2011, has begun to transform how patients with dementia receive care in nursing centers across the country. A program focused on the unnecessary use of medications was piloted in five states. Based on the results, CMS has revised the dementia care-focused survey process. CMS also plans to apply the revised version in both traditional and QIS states. In 2012, CMS launched the National Partnership to Improve Dementia Care, an initiative to improve and expand the use of nonpharmacological approaches to care and to reduce antipsychotic medication use in long-stay nursing center residents. By late 2014, nursing centers in the United States had achieved a 19.4 percent reduction in antipsychotic drug use. MDS-focused surveys are also taking center stage with a list of concerns with MDS coding. Triggers to the Quality Measure Report, including pressure ulcers, urinary tract infections, antipsychotic drugs, falls with major injuries, urinary catheters, and/or restraints may put the provider at risk. In its initial pilot, CMS found an almost a 100 percent error rate. After 17 “doc fixes” over the past 11 years, Congress finally passed HR 2 to fix a broken payment system and put into place a number of reforms that will create a more sustainable solution. Essentially, the doc fix includes some therapy reforms, including a 33-month extension of the therapy cap exception process (Dec. 17, 2017), which will allow providers to continue delivering therapy if medically necessary, coded, and documented. The fix also includes targeted relief from the arbitrary Medical Manual Review process, creating a system that is targeted toward providers with a high claims denial percentage and/or aberrant billing patterns, to name a few. There is also a 1 percent market basket update, meaning providers will receive a 1 percent market basket increase, net of other adjustments. In other words, post-acute providers, such as long term care and inpatient rehabilitation hospitals, SNFs, and home health and hospice organizations, will help finance the repeal, receiving base pay increases of 1 percent in 2018—about half of what was previously expected. Health care is changing at an alarming rate. Providers are experiencing change that will position the profession for the long haul, with a change in demographics and the need for services. But, with the shift toward a pay-for-performance system focused on value and on quality vs. volume, providers must work now on quality outcomes, compliance, and improving the customer experience to survive in the “new world” of health care. Payment reform, new regulations, and opportunities to boost quality of care for older patients with comorbidities are revolutionizing skilled nursing facilities. Transformational change has reached a critical mass in the post-acute sector in general and at skilled nursing facilities in particular, a pair of experts in the field says. "The skilled nursing facility industry has migrated from an industry that was based on residential services to an industry that is based on healthcare services," says Philip Glassanos, vice president for business development at Norwell, MA-based Welch Healthcare & Retirement Group. About 75% of patients at Welch's skilled nursing facilities (SNFs) have lengths of stay less than 20 days, he says. "The industry has fundamentally changed." An ever-increasing number of SNFs nationwide are embracing the shift from fee-for-service medicine to delivering quality care at the lowest possible cost, says Kris Mastrangelo, MBA, president and CEO of Harmony Healthcare International, a post-acute care consultancy based in Topsfield, MA. Mastrangelo was recruited to work as an occupational therapist at a post-acute care facility in the late 1990s, when quality was problematic at many SNFs, she says. "They had such a tainted reputation"
Now, payment reforms such as hospital readmission penalties and bundled payment initiatives are spurring change in post-acute care, Mastrangelo says. "The driving factor is reimbursement. No one is going to improve quality unless there is reimbursement… This is the revolutionary change—Tying the payments to the outcomes. It's not the display of five stars or the display of quality outcomes. It's about the reimbursement. Everybody's toes are going to be held to the fire on outcomes and payment." The Centers for Medicare & Medicaid Services is set to revamp regulations for SNFs and other post-acute settings, she says. In July, the agency released a proposed rule that includes several new regulations, with the Final Rule expected in November. In the Proposed Rule, CMS officials note that regulations for post-acute care facilities have not been comprehensively reviewed and updated since 1991. New protections against resident abuse and neglect such as specifying that "facilities cannot employ individuals who have had a disciplinary action taken against their professional license by a state licensure body as a result of a finding of abuse, neglect, mistreatment of residents, or misappropriation of their property"
"Visitation requirements to establish open visitation, similar to the hospital conditions of participation"
Resident rights revisions such as "addressing roommate choice"
A declaration that "quality of care and quality of life are overarching principles in the delivery of care to residents of nursing homes and should be applied to every service provided"
"This document is fascinating," Mastrangelo says. "The concepts are excellent, but the cost implications are enormous." The growth of accountable care organizations in Massachusetts since passage of the Patient Protection and Affordable Care Act in 2010 has accelerated cooperation between hospitals and SNFs significantly, Glassanos says. "What's different now is the pace of change has moved dramatically. The pace is much more compelling." The Pioneer ACO program, which CMS launched in 2012, has helped push SNF reforms in the Bay State, Glassanos says, noting that there are fewer than two dozen Pioneer ACOs nationwide and five of them are located in eastern Massachusetts. "The ACOs have tried to pick a select number of skilled nursing facilities to whom they make a commitment, and we have made a commitment to them. There are real opportunities to improve quality and reduce cost at the same time." He says one major opportunity is that Pioneer ACOs have an exemption from the CMS rule requiring patients to spend at least three days admitted at an acute-care facility to qualify for the highest rate of Medicare coverage at SNFs. "The upside for us by working in these relationships is we have been able to improve what we do clinically. Our goal is to say we can do more. We can take patients right out of the emergency room, and they don't have to be admitted into the hospital." Although SNFs are getting the opportunity to work with more medically complex patients, they also are losing patient volume to home health agencies as hospitals strive to discharge more and more patients to the home setting for procedures such as hip and knee replacements, Glassanos says. "Most of these patients should be going home." Particularly in the sphere of bundled payments, hospitals also are pushing their SNF partners to drive down length of stay, he says. "Length of stay has gone down dramatically. The financial impact has been significant. We still get paid based on days." Until payment reform efforts catch up with care redesign initiatives, SNFs will face a daunting financial challenge. "Getting from here to there is the painful part," Glassanos says. "The transition piece is difficult. We're seeing a lot more patients, but they're staying for a shorter period of time." SNFs are being confronted with an adaptation imperative, Mastrangelo says. "You are going to need savvy leaders. They are going to make or break this transition… They need to adopt an evolutionary philosophy." A crucial area for SNF leaders is managing partnerships between their organizations and hospitals, she says. "Tighter relationships with hospitals ensure patient census levels at skilled nursing facilities, but it's easier said than done. Not everyone gets a tighter relationship with a hospital." Mastrangelo says one way SNFs can make themselves an attractive partner for hospitals is to boost their star ratings on Nursing Home Compare, the online assessment tool administered by CMS. The star ratings have three primary components: state surveys, staffing levels, and a quality rating based on a dozen metrics. "If I'm running a SNF, what can I impact immediately? It's the quality indicators," she says. Just like a consumer seeking to improve credit scores, the first step SNFs need to take to improve their Nursing Home Compare star ratings is to make sure their quality documentation is free of errors, she says. SNFs need to ensure proper preparation of each patient's Minimum Data Set document, which establish a detailed clinical assessment at the time of admission to a skilled nursing facility. "That's low-hanging fruit… then you see how you can improve individual quality indicators such as pain and wound care," Mastrangelo says. For many SNFs, improving quality of care to attract hospital partners will require a leap of faith, Glassanos says. "There is no way to ensure anything. All you can do is provide quality services and be a facility that others want to do business with." While acknowledging the existential challenge that faces SNFs with limited resources, Mastrangelo says post-acute care innovators have the potential to achieve success as organizations and caretakers for older patients with comorbidities, who constitute the country's most vulnerable patient population. "In a time of change, don't panic. You need to sit back and see the opportunities." “Coming to a building near you” might well be the tagline for the Centers for Medicare and Medicaid Services (CMS) new launch of the MDS Focused Survey with the purpose of assessing Minimum Data Set, Version 3.0 (MDS 3.0) coding practices and the relationship of that coding to resident care in nursing homes. As a follow-up to the pilot study conducted last year and since April 2015, when surveyor training started, Harmony Healthcare International has been monitoring the impact of the surveys on its clients across the country. Early CMS citations at the facilities visited included inaccurate staging and documentation of pressure ulcers; opportunities to understand and classify antipsychotic drugs and inaccurate coding of restraints. ADLs are a Top Focus: Surveyors aren't just checking the medical record for supportive documentation. They are also interviewing direct care staff to see if levels of assistance that are described verbally match the documentation in the medical record and on the MDS Assessment. Shorter, More Intense Visits: The survey is typically 2-3 days long. Surveyors come prepared with a list of assessments to review, but are also pulling additional assessments once those are completed. Surveyors are evaluating the assessments together, side-by-side, in some cases. Not Just a Paper Review: Surveyors spent time reviewing medical records, but also asked questions about potential quality of care issues they saw while walking around the facility. Surveyors were very visible on the units throughout the survey process. Expanded Focus, If Need is Noted: Surveyors are on the lookout for areas that are beyond the scope of the MDS Survey that may affect patient care. Deficiencies identified during the surveys will result in relevant citations and enforcement actions in accordance with normal and existing CMS policy and regulations. Particular areas that have caught the surveyors attention were devices that could be restraints, feeding patients in bed, and patient dignity issues. EMR Access: Providers must facilitate access to their EMR. The staff should be articulate with regards to the EMR functionality and where to locate specific data. This should not be left to the IT Department. A facility can be tagged is access is delayed or if there is insufficient access to medical records. Questions Are Deferred: Surveyors have answered very few questions during the process, however, surveyors did provide a toll-free number that providers could use to ask their questions. Areas that are found to be in non-compliance will be investigated at the time of the MDS Focused Survey, or will be referred to the State Agency as a concern. Deficiencies identified during the surveys will result in relevant citations and enforcement actions. Harmony Healthcare International, is the leader in long term care reimbursement, operations and compliance consulting, as well as training and education programs and talent management. The company offers training in Quality Measure Management including the Five-Star Analysis, Compliance and MDS Competency (HC-MDS), MDS Academy and MDS Mentoring. In addition, Harmony Healthcare conducts site visits that delve deeper into the Quality Measures and Mock Surveys that can positively impact survey outcomes. “We recommend that facilities ensure that ADL documentation in the medical record matches staff perception of Self-Performance and Support assistance that was provided. Great survey preparedness techniques, including QAPI on any area of concern, will help the facility have a successful MDS Survey. Harmony Healthcare offers a suite of training, education, on-site mentoring, a mock survey and consulting that can help buildings navigate the MDS Focused Survey successfully,” added Mastrangelo. For more information on the MDS Focused Survey and how you can better prepare your SNF's quality, documentation and compliance programs, please contact Harmony Healthcare by clicking here. “Engage: Don’t Just Age” will be the theme of this year’s “HARMONY 2015”, one of the industry’s premier thought leadership symposiums, hosted by Massachusetts-based Harmony Healthcare International at Foxwoods Resort Casino in Ledyard, Connecticut, November 5 and 6. The event attracts over 250 “C”-level executives, administrators, directors of nursing, rehabilitation managers and other management and corporate personnel representing the skilled nursing and assisted living markets. The Honorable Mark Parkinson, the 45th Governor of the State of Kansas and the current President and CEO of the American Health Care Association (AHCA) and the National Center for Assisted Living (NCAL), will give the keynote address at the event. In addition to Parkinson, Harmony Healthcare announces eleven new speakers to the “HARMONY 2015” program agenda. Darrell Contreras, founder and a partner of JD HealthCare Partners, LLC, a compliance and risk management consulting firm will address compliance issues in post acute care. Ali Bers, litigation attorney at the Center for Medicare Advocacy will present on the ground breaking Jimmo v Sebelius decision. Holly Harmon, senior director of clinical services, American Health Care Association will discuss AHCA Quality Initiative and Preventing Adverse Events. Carol Scott, field operations manager, Advancing Excellence will address Fall Reduction in the SNF environment. Dr. Steven Fuller, chief medical officer of The Affinitas Center for Research and Analytics (ACRA) will present on cost savings by customized health management in assisted living communities. Denise Boudreau-Scott, owner of Denise B. Scott, LLC will talk about culture change in long term care. Cheryl Bond, founder and president of Essential Resilience will discuss the soft skills of employee management and human resources in the SNF environment. Irving Stackpole, president of Stackpole & Associates, Inc. will address marketing and marketing challenges for SNFs. Linda Hilliard, independent compliance consultant, will present on compliance, risk assessments, operational and other regulatory issues. Sameer Sule, founder and president of Kinara Insights, a healthcare technology consulting firm will discuss technology and security in the post acute care marketplace. Dr. Joseph Scarpa of Vestracare, will present on initiatives for reducing re-hospitalizations. The symposium will feature 24 break-out sessions on a variety of clinical, operational, financial and marketing topics. Up to 12 hours of continuing education credit will be offered for Nursing Home Administrators, Nurses, Speech Language Pathologists, Occupational and Physical Therapists. Registration information and costs can be found at http://hhi.hub.am/1GCnnkY. On July 16, 2015, a proposed rule was published by the Centers for Medicare and Medicaid Services (CMS) announcing a seismic overhaul of the long-term care regulations that skilled nursing facilities will need to meet to participate in the Medicare and Medicaid programs. Harmony Healthcare International offers a variety of courses that will help providers prepare for and understand the new regulations and their impact. Among the hundreds of revisions and updates which are designed to improve the quality of life, care and services in facilities, optimize resident safety, reflect standards of practice and incorporate requirements outlined in provisions of the Affordable Care Act, the long anticipated Quality Assurance Performance Improvement standards are also being introduced. “The new regulations have a massive impact on how SNFs will operate and will align practice requirements with current clinical standards and allow for the optimization of care delivery. Key areas where Harmony Healthcare International can help make the transition successful include baseline compliance review, mock survey, QAPI program analysis and implementation plan, among other areas” said Kris Mastrangelo, OTR/L, LNHA, MBA, President and CEO, Harmony Healthcare International. Harmony Healthcare International, the leader in long term care compliance, reimbursement, operations and denied claims appeal consulting, as well as training and education programs and talent management, offers both public and private training and education seminars. Training and education programs can be customized to meet the specific needs of providers. With the October 1 deadline for ICD-10 transition coming up, Harmony Healthcare is currently offering a series of pre- and post-ICD-10 implementation training seminars. “Harmony Healthcare offers a suite of consulting solutions—PEPPER Analysis, Compliance, Length of Stay and 5 Star calculations—and training and education courses—MDS, ICD-10, rehabilitation and nursing certifications—that provide SNFs and ALFs with the tools needed to implement the new regulations successfully and help improve quality and care for residents,” said Mastrangelo. The company will also host “Harmony 2015” at Foxwoods Resort Casino in Ledyard, Connecticut on November 5 and 6, 2015. The symposium will spotlight several featured industry and thought leaders who will address topics relevant to the state of the post acute care industry today. In addition, 24 break-out sessions will be offered on a variety of clinical, operational, financial and marketing topics. Up to 12 hours of continuing education credit will be offered for Nursing Home Administrators, Nurses, Speech Language Pathologists, Occupational and Physical Therapists. Registration information and costs can be found at http://hhi.hub.am/1GCnnkY. Leaders in post acute care will gather together in Connecticut in early November at one of the industry’s premier thought leadership symposiums, “Harmony 2015” hosted by Massachusetts-based Harmony Healthcare International. The event attracts over 250 administrators, directors of nursing, rehabilitation managers and other management and corporate personnel representing the skilled nursing and assisted living markets. The Honorable Mark Parkinson, the 45th Governor of the State of Kansas and the current President and CEO of the American Health Care Association (AHCA) and the National Center for Assisted Living (NCAL), will give the keynote address at the event. His organization represents more than 12,000 for- and not-for-profit nursing homes, assisted living organizations and centers for the care of people with intellectual and developmental disabilities. Harmony 2015 will be held at Foxwoods Resort Casino in Ledyard, Connecticut on November 5 and 6, 2015. The symposium will spotlight several featured industry and thought leaders who will address topics relevant to the state of the post acute care industry today. In addition, 24 break-out sessions will be offered on a variety of clinical, operational, financial and marketing topics. Up to 12 hours of continuing education credit will be offered for Nursing Home Administrators, Nurses, Speech Language Pathologists, Occupational and Physical Therapists. Registration information and costs can be found at http://hhi.hub.am/1GCnnkY. In order to meet the needs of its growing client base and to bring more specialized product offerings to the marketplace, Harmony Healthcare International, the leader in long term care compliance, reimbursement, operations and denied claims appeal consulting, as well as training and education programs and talent management, announces today the addition of three key regional consultant hires. The new hires represent a diverse spectrum of experience in nursing, therapy and compliance law. “Our commitment to our customer base and our passion for providing relevant and impactful information and support is enhanced by the addition of these three new consultants,” said Kris Mastrangelo, OTR/L, LNHA, MBA, President and CEO of Harmony Healthcare International. Colleen M. Gouldrick, RN returns to Harmony Healthcare International after working as an independent consultant at Lucid Clinical Consulting Services and serving as a Performance Improvement Coordinator at ElderONE, an affiliate of Rochester Regional Health Systems, a PACE Program (Program of All-inclusive Care of the Elderly) providing over 645 elderly participants, living in the community, comprehensive care. Gouldrick holds an Associate degree in Nursing from Monroe Community College in New York and she also attended Nazareth College, New York. Pamela Hennigan, MS, OTR/L comes to Harmony Healthcare International after holding several occupational therapist roles at Absolut Care of Orchard Park, New York. She most recently was Director of Rehabilitation at Orchard Park. Before joining Absolut, Hennigan was an Occupational Therapist/Senior Counselor at Cazenovia Recovery Systems. She holds a MS in Occupational Therapy from D’Youville College, New York and an AS in Child Care Technology from Trocaire College, New York. “Pamela’s leadership skills coupled with her extensive knowledge of quality care, functional outcomes, processes and performance improvement and training in the rehabilitation environment adds to Harmony’s strong clinical base and brings clients hands-on knowledge and information,” said Bovee. Bringing both a legal and nursing background to Harmony Healthcare International, Carmelita Riley, Esq. joins the company from Advanced Care Staffing/Daughters of Jacob Nursing Home and Rehabilitation Center in New York and her position as Of-Counsel to the law firm of James Ray & Associates. Riley holds an Associate of Applied Science, Nursing from Monroe School of Nursing, New York and Bachelor of Laws from the University of the West Indies, Barbados. She practiced law in both the United States and Jamaica and is a member of the New York Bar Association. Harmony Healthcare International, the leader in long term care reimbursement, operations and compliance consulting, as well as training and education programs and talent management, launches a new series of day-long seminars on the mandated ICD-10 Transition. All HIPAA entities must implement the new code set by October 1, 2015. Harmony Healthcare’s ICD-10 Training Course features a full day program aimed at helping skilled nursing facilities develop a roadmap to successful implementation. Attendees can earn the following Contact Hours: ASHA, AOTA, PT-State Specific, MARN and NAB. The International Classification of Diseases (ICD) 10th Revision was issued by the World Health Organization and adopted by member countries beginning in 1994. Here in the United States, the ICD-10-CM (Clinical Modification) was developed by the National Center for Health Statistics (NHCH). Nearly 68,000 codes comprise the new system and these codes will impact reimbursement, payor contracts and coverage determinations, assessment of provider performance with disease management, monitoring utilization patterns, criteria for inpatient vs. outpatient care, tracking illness severity, complications and mortality and public health tracking and reporting. The ICD-10 transition improves a number of the issues that has been plaguing the ICD-9 system. By combining diagnosis and symptom codes, ICD-10 reduces the number of codes needed to describe a condition. Injury coding is expanded and specificity in code assignment helps clarify diagnoses and symptoms. Also codes incorporate laterality making it easier to identify whether the condition is on the left, right or bilateral. The new coding system brings a number of improvements with its implementation. It makes it easier to monitor resource utilization across the continuum of care, helps reduce miscoded, rejected and improperly reimbursed claims and identifies and prevents fraud and abuse. All of these improvements lead to better clinical, financial and administrative performance. Harmony Healthcare’s Summer schedule of ICD-10 Transition courses includes offerings in Topsfield, MA on July 21, 2015, New York City on August 6, Kingston, NY on August 7, 2015 and in North Haven, CT on August 10, 2015. Register at: http://hhi.hub.am/1IRsUZY . Additional courses and locations will be added throughout the summer. “At Harmony Healthcare, we are always positioned to take a leading role in helping the post-acute care industry stay ahead of the curve,” said Mastrangelo, “That’s why we are launching courses that help clients learn ICD-10, “The New Language of Care”. In February 2015, when the Centers for Medicare and Medicaid Services (CMS) changed its Five-Star Quality Rating system geared towards helping consumers, families and caregivers compare skilled nursing facilities, Harmony Healthcare International invented and today releases a grid that combines all the rules for calculating a Five-Star Rating in one quick reference tool for SNFs to use in planning and preparing for changes in the facility’s rating. Harmony Healthcare International, the leader in long term care reimbursement, operations and compliance consulting, as well as training and education programs and talent management, offers training in Quality Measure Management including the Five-Star Analysis. In addition, Harmony Healthcare conducts site visits that delve deeper into the Quality Measures and Mock Surveys that can positively impact survey outcomes. The elements in the Five-Star Rating become essential tools for SNFs in determining how well they perform particularly in the light of recent healthcare reform initiatives. From the quality perspective, SNFs will be asked to focus on integration and coordination of care. An increased number of payments will also be linked to quality outcomes moving from “volume to value”. New cross-setting measures will align across Medicare and Medicaid public reporting and payments systems and standardized assessment and interoperability will be required across post-acute care settings and with other providers. Virtually all Medicare fee-for-service payments will be tied to quality and value; at least 85% in 2016 and 90% in 2018. Health Inspections – The health inspection rating contains information from the last 3 years of onsite inspections, including both standard surveys and any complaint surveys. Staffing – The staffing rating has information about the number of hours of care provided on average to each resident each day by nursing staff. Quality Measures (QMs) – The quality measure rating has information on 11 different physical and clinical measures for nursing home residents, including information about nursing homes' use of antipsychotic medications in both long-stay and short-stay residents, a more recent addition to the category. Harmony Healthcare’s simplified calculation of the composite Five-Star Quality Rating uses the following table: http://hhi.hub.am/1OzSGqD . There are five columns. The Health Inspection Rating designates which column to use and which number to initiate the calculation. The contribution of the Staffing Rating comes from the top matrix. The number is found in the column already specified and the row defined by the value of the staff rating. The contribution of the Quality Management Rating comes from the lower matrix. The number is found in the same column specified above and the row defined by the value of the Quality Management Rating. The composite Five-Star Rating is the summation of these three numbers with the caveat that the total can never be less than one or greater than five. “The key to remember is that it goes beyond the numbers, at Harmony Healthcare International we help facilities take the data and implement clinical practices that improve care,” added Mastrangelo. With today’s release of the new 2015 PEPPER (Program for Evaluating Payment Patterns Electronic Report), Harmony Healthcare International, the leader in long term care compliance, reimbursement, operations and denied claims appeal consulting, as well as training and education programs and talent management, is encouraging SNF’s to download the resource as the keystone in building a solid and actionable compliance and audit preparedness program. “As I cross the country and speak and meet hundreds and hundreds of administrators and directors of nursing, what we’re finding is that they’re not even aware the report exists,” said Kris Mastrangelo, OTR/L, MBA, LNHA, President and CEO of Harmony Healthcare International quoted in a March interview with “PPS Alert for Long-Term Care”. PEPPER provides detailed comparisons of Medicare claims data in six areas considered at risk for improper payment or abuse to that of the facility’s counterparts in the same state and Medicare Administrative Contractor (MAC) region, as well as the entire nation. Even though the report is available to all SNFs and the data offers a wealth of usable information, current statistics show that, in 2014, only 61% of facilities accessed their report. The PEPPER can be used to help providers identify problems before auditors do, making the report extremely useful in helping SNFs build and maintain compliance programs and prepare for potential audits. For more information visit: www.PEPPERresources.org. Helping to implement and spread the word about the settlement of a nationwide class action lawsuit (Jimmo v. Sebelius, Civil Action No. 5:11-CV-17, District of Vermont) and seeking to end Medicare’s practice of denying skilled maintenance care to patients who did not meet an “improvement standard”, Harmony Healthcare International and the Center for Medicare Advocacy are releasing a video conversation with Ali Bers, Litigation Attorney, Center for Medicare Advocacy and Kris Mastrangelo, President and CEO, Harmony Healthcare International. The video details the myths surrounding the misunderstood application of the law and the efforts of the Center for Medicare Advocacy, the plaintiffs and the supporting organizations that helped stop denied coverage due to lack of improvement. 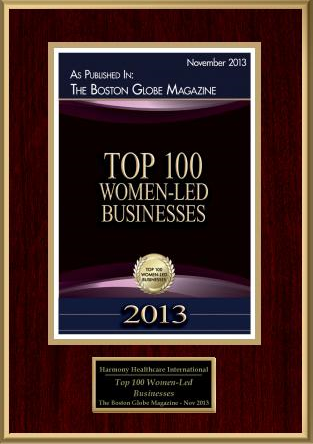 “This is a huge victory for countless individuals who were held to an improvement standard that never existed,” said Mastrangelo, “We believe it is important to make our client base, the skilled nursing and assisted living markets and the general public aware of this groundbreaking settlement.” Massachusetts-based Harmony Healthcare International is the leader in long term care compliance, reimbursement, operations and denied claims appeal consulting and talent management services. The company offers training and education programs and created the video as part of its ongoing outreach and education initiatives. Plaintiff Glenda Jimmo of Vermont was denied Medicare coverage for skilled home health maintenance care benefits in 2007 by the Medicare Appeals Council based on her “lack of improvement”. As a result of the class action settlement, Medicare updated its policy manuals in December 2013 to clarify that improvement is not necessary for coverage of skilled nursing and therapy services. Skilled care may necessary to maintain or to prevent or slow further deterioration of the patient’s condition. A second, individual federal court case for Ms. Jimmo was necessary because she was again denied coverage in 2014 by the Medicare Appeals Council, the last step in the Medicare administrative appeals system. That case settled in favor of coverage for Ms. Jimmo. "The resolution of this federal case completely vacates the Appeals Council denial for her skilled maintenance home care," says Judith Stein, Executive Director of the Center for Medicare Advocacy and an attorney who brought the Jimmo v. Sebelius class action lawsuit. "The maintenance home care she received will now be paid in full. And coverage for similar skilled maintenance care may also be available." Ms. Jimmo’s individual case was settled on October 29, 2014 and resulted in full payment of her Medicare claim. It also completely vacated the decision of the Medicare Appeals Council that denied coverage due to lack of improvement. Because of the settlement, SNFs, outpatient, home health and assisted living facilities now have the latitude to offer patients maintenance therapies such as specialized Range of Motion and skilled mobility training knowing that costs will be covered by Medicare. “The video sets the record straight and gives those who work for skilled nursing and assisted living organizations, those who have loved ones in care and those who care for these patients a clear and succinct understanding of the impact of the Jimmo settlement,” said Bers. The video can be viewed at: https://www.youtube.com/watch?v=50APCP-BwIk. Documentation topped the list of biggest challenges faced by Skilled Nursing and Assisted Living facilities during 2014, despite the introduction of many regulatory and policy changes during the year. The survey queried Administrators, Directors of Nursing, MDS Coordinators, Charge Nurses, Rehabilitation Therapists, CNA’s and the variety of other interested parties who regularly visit the Harmony Healthcare International website (www.harmony-healthcare.com) or participate in the company’s many educational programs and webinars. Harmony Healthcare International is the leader in long term care compliance, reimbursement, operations and denied claims appeal consulting. The company also provides training and education programs and talent management services. The study was conducted throughout 2014. Documentation took center stage particularly with non C-level respondents. Although documentation resonated with the C-level participants, census issues keep them up at night. Another major indicator tied to patient care was the infrequency or frequency with which facilities completed mandated PEPPER reports. Harmony Healthcare International has devised a way to quickly evaluate and monitor facility performance by looking at an organization’s commitment and attention to their PEPPER reports. In an effort to enhance and maintain mobility as part of daily care in the nation’s Skilled Nursing and Assisted Living facilities Harmony Healthcare International, the leader in long term care compliance, reimbursement, operations and denied claims appeal consulting, as well as training and education programs and talent management teams up with Advancing Excellence in America’s Nursing Homes Campaign, a major initiative of Advancing Excellence in Long Term Care Collaborative. The Collaborative assists all stakeholders of long term care. The Campaign helps nursing homes improve the quality of care and quality of life for the more than 1.5 million residents of America’s nursing homes. Consistent Assignment: strengthening relationships among caregivers, patients and families. Hospitalizations: managing changes in condition safely without hospital transfers. Person-Centered Care: promoting choice, purpose and meaning in daily life. Staff Stability: retaining a knowledgeable and experienced staff. Infections: implementing strategies that reduce the spread of infections. Mobility: enhancing and maintaining mobility impacts physical and psychological well-being. Pain: providing adequate pain management. Pressure Ulcers: assessing and addressing resident’s risk and skin reducing the incidence and severity of pressure ulcers. Each goal benefits residents, staff and the nursing home. The Mobility goal strengthens resident’s muscle and bones which makes fractures less likely in the event of a fall. Heart and lung function improve, sleep, appetite, independence and socialization increase. Residents walk, move, are more alert and avoid pressure ulcers and muscle wasting. As residents are more independent and empowered, staff relationships improve and staff spends less time providing direct assistance. The nursing home’s reputation in the community is enhanced by promoting a culture of safety, better quality outcomes and lower costs. Harmony Healthcare International, the leader in long term care compliance, reimbursement, operations and denied claims appeal consulting, as well as training and education programs and talent management, announces today the addition of four key staff hires. The company adds two new Vice Presidents, a Business Development Director and a new Regional Consultant underscoring Harmony Healthcare’s commitment to their client base and support of the company’s strategic growth vision and expansion plans. Philip D. Jean, MBA, CNHA, FACHCA joins Harmony Healthcare as the company’s Vice President of Administrative Operations reporting to Kris Mastrangelo, President and CEO. Jean will serve as key operational liaison and administrator mentor for the company’s post acute care clients and will represent the company as a national speaker on clinical, operational and reimbursement topics. He will also develop and manage strategic partnerships and serve as a regulatory authority for the company and its clients. The company’s Talent Management Division also reports to Jean. With almost 20 years as an experienced healthcare administrator and accomplished in facility, corporate and hospital-based operations, Jean most recently was Vice President Elder Care Services and Administrator at St. Mary’s Health System in Lewiston, Maine. He held progressive management positions at North Country Associates; and at the Maine Veterans’ Homes, Augusta and Scarborough, Maine. Jean currently sits on the Board of Directors of the American College of Health Care Administrators (ACHCA) and the Advancing Excellence Campaign. He also serves as Vice Chair of the nursing home exam item writing committee and as a subject matter expert for the National Association of Long Term Care Administrator Boards (NAB). Jean is an exam item writer for both ACHCA and NAB. He holds and M.S., Business Administration from Husson College, Bangor, Maine and B.S., Business Administration from University of Maine, Orono. 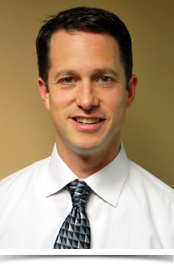 “Phil brings a true executive business manager’s point of view to Harmony Healthcare. His grounding in the day-to-day challenges faced by healthcare administrators and his solution driven approach to analyzing and creating operational excellence are valuable additions to Harmony’s suite of business consulting products,” said Kris Mastrangelo, OTR/L, LNHA, MBA, President and CEO of Harmony Healthcare International. Jon A. Di Gesu, marketing, communications, public relations and advertising expert joins Harmony Healthcare as the company’s Vice President of Marketing. Di Gesu will help in the company’s branding and positioning efforts as well as develop marketing, promotional and public relations tools to support the company’s growing sales, consultant and client base. Di Gesu will report to Kris Mastrangelo, President and CEO. Di Gesu brings over 30 years of marketing and communications experience complemented by a strong grounding in both the business-to-business and consumer marketplace. Prior to joining Harmony Healthcare, Di Gesu ran his own marketing consulting business which served a diverse client base in the industrial, manufacturing, financial services, sports and food industries. He also held key executive marketing and communications positions at Osram Sylvania, Danvers, MA; Siemens, Iselin, NJ; Unilever’s National Starch and Chemical Corporation, Bridgewater, NJ, the Chlorine Institute, New York City and the Prudential Insurance Company of America, Newark, NJ. Di Gesu holds a B.A. English from Fairfield University, Fairfield, CT and an Executive MBA from The Consortium of Executive Education, Babson College, Wellesley, MA. “With his creative approach and wealth of experience, Jon will work at strengthening Harmony Healthcare’s out-bound marketing efforts and continue to build on the company’s already strong in-bound marketing programs,” said Mastrangelo. Howard Rich is Harmony Healthcare’s newest addition to the sales force. Rich will serve as Business Development Director for the New England states, and will be responsible for sales growth targets in the Southern, Midwestern and Western states. Rich joins Harmony Healthcare after four years as Senior Account Manager at Geriatric Medical Supply, Woburn, MA where the company saw a 24% territory client growth during his employment. He also held sales and marketing positions at Genter Healthcare in Wilmot, NH and Myriad Supply Company in New York City. Rich will report to Mastrangelo. Rich holds a B.S. in Integrated Marketing Communications from Ithaca College, Ithaca, NY. “Howie is a sales powerhouse with the experience and industry knowledge to help our company grow towards success,” said Mastrangelo. With over 25 years of nursing experience and expertise as a Legal Nurse Consultant, Wendy Strain, RN joins Harmony Healthcare International as a regional consultant serving clients in the southern and western United States. She served as a US Army combat field medic from 1987 to 1989 and held a variety of nursing positions in hospice and rehabilitation becoming Director of Nursing Services at Tishomingo Manor, Iuka, MS from 2005 to 2014. Strain also was a Legal Nurse Consultant with CareAnalytics, Iuka MS. Strain will report to Beckie Dow, Vice President of Field Operations. Strain graduated the United States Army Academy of Health Sciences and Northeast Community College. She is a member of the American Association of Legal Nurse Consultants. Harmony Healthcare International, the leader in long term care reimbursement, operations and compliance consulting, as well as training and education programs and talent management, announces today an intensified commitment to compliance education and training for both company clients and employees. Harmony Healthcare International will launch, throughout 2015, a new two day course, “HHI MDS Academy: The Critical Role of the MDS Coordinator”. Geared towards MDS Coordinators, Directors of Nursing, Administrators, Nursing Unit Managers, State Surveyors and Auditors, this course offers contact hours for administrators and nurses. In response to the need for better compliance education, a new Corporate Compliance Program section has been added to the current MDS Section Intent and Accurate Coding, MDS 3.0 Assessment Scheduling and Accurate RUG-IV calculation sections. The 2015 HHI MDS Academy will visit 9 US locations from February through October. For a complete listing, registration, course details and fees, visit http://www.harmony-healthcare.com/education-training/schedule/. “For nearly 3 years, we have helped clients understand, complete and interpret the government-mandated PEPPER report which can serve as an excellent starting place to build a viable compliance program,” said Mastrangelo, “This tool is invaluable as a bellwether for identifying areas for improvement or areas that may be red flagged for investigation. Every facility needs a living, breathing compliance program that is part and parcel of daily operations. We can help facilities grow in that direction.” To that end, Harmony Healthcare International offers clients PEPPER analysis, RUGs analysis, mock compliance audits and compliance consulting. The company’s consultants and management staff are completing the Health Care Compliance Association’s (HCCA) Compliance Institute course and obtaining certification. “At Harmony Healthcare, we are committed to bringing our clients the best trained healthcare consultants equipped with the latest information,” added Mastrangelo. Harmony Healthcare International, the leader in long term care reimbursement and compliance consulting as well as training and education programs, launches today a revolutionary approach to collecting and analyzing data pertinent to patient length of stay in healthcare facilities. The length of stay (LOS) emerges as a central factor in healthcare economics. In order to benchmark the length of stay with one number, the current trend is to use the average length of stay (ALOS). Jim Smerczynski, Analytics and Statistics Consultant at Harmony Healthcare International, has developed a more accurate representation of length of stay. His methodology, called the Clinically Appropriate Stay (CAS) represents the central value based on the median that eliminates outliers and provides a truer calculation. “By looking at the length of stay data for 9552 skilled nursing facility Medicare patients across New England and New York State between 2012 and 2014, we were able to move away from the standard arithmetic mean and apply a median calculation. This helped us develop the Clinically Appropriate Stay (CAS) which we are promoting as a more accurate point of reference for skilled nursing Medicare patients,” said Smerczynski. The new point of reference is optimally more accurate than the current average length of stay calculations. For instance, in Smerczynski’s initial calculations the data set in the median CAS was 19.1 days and the ALOS is 24.4 days, a large difference. When the cumulative distribution function (CDF) is applied a more complete description of length of stay emerges allowing for better visibility to operational and care impacts. 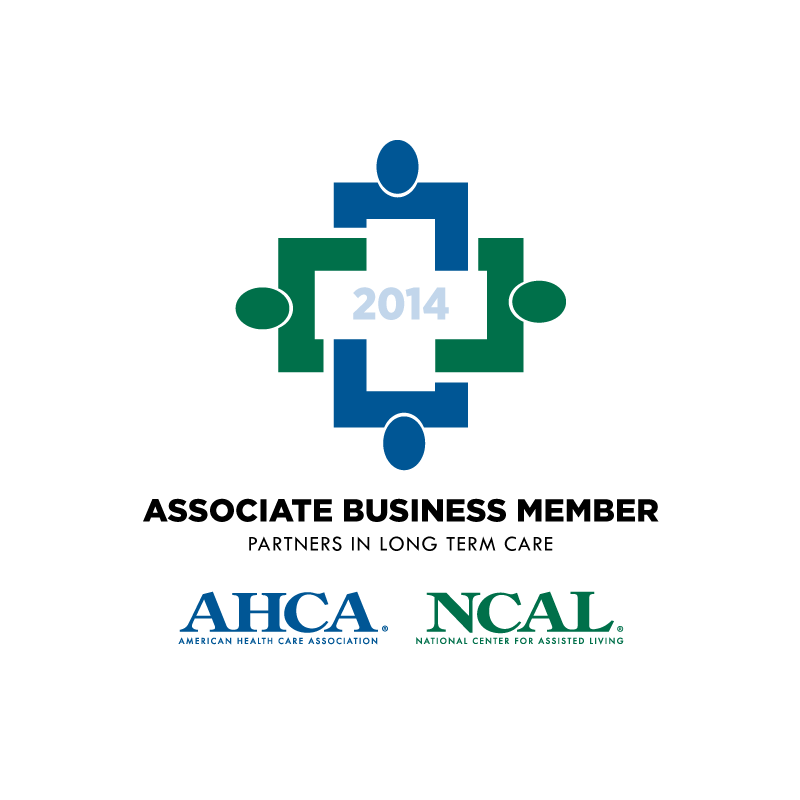 The American Health Care Association (AHCA) and National Center For Assisted Living (NCAL) Associate Business Member program (ABM) is designed for those companies that share a genuine interest with AHCA/NCAL in furthering the quality of long term care and are dedicated to the success of the profession. ABMs are proud to support programs and services that bring about improvement in long term care and help to create strategies to deal with a variety of profession-related issues including revised policies and regulations, staffing shortages, Medicare and Medicaid, tort reform and quality. 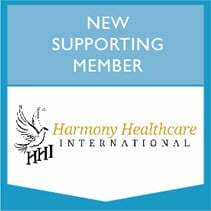 Harmony Healthcare International (HHI) has become a supporting member of the Advancing Excellence Campaign to support the shared goal of improving the quality of care in nursing homes across the country. HHI's mission is "We Care About Care," and they educate all disciplines on the rules and regulations surrounding service delivery in order to improve quality of care and outcomes in nursing homes. Harmony Healthcare International (HHI) would like to introduce you to one of our newest employees: Phil Jean. Phil has joined the HHI team in a unique role as the Vice President of Administrative Operations. Before joining HHI, Phil most recently served as Vice President of Elder Care Services for St. Mary’s Health System in Maine. He started his health care career in 1995 and has worked in facility, corporate and hospital-based operations and brings a specialized level of expertise to our team and clients. Phil is a Licensed Certified Nursing Home Administrator and Fellow of the American College of Health Care Administrators (ACHCA). He currently serves on the ACHCA Board of Directors and is the Board liaison for the Professional Advancement Committee. He is an exam item writer/subject matter expert for both the National Association of Long-Term Care Administrator Boards and ACHCA. Phil was recently recognized by the American College of Health Care Administrators (ACHCA) as the 2014 Eli Pick Facility Leadership Award. This honor is awarded based on three years of skilled nursing facility survey data, including the health, fire (life safety), and complaint surveys, as well as top quartile performance on designated quality measures. Phil received his Master’s Degree in Business Administration with a concentration in health care management from Husson College in 1997 and completed his Undergraduate Degree in Business Administration from the University of Maine in 1992. The Globe Magazine and The Commonwealth Institute partnered to create a list of female-run, for-profit companies with the biggest revenue in 2012.